Electra Android on the loose! 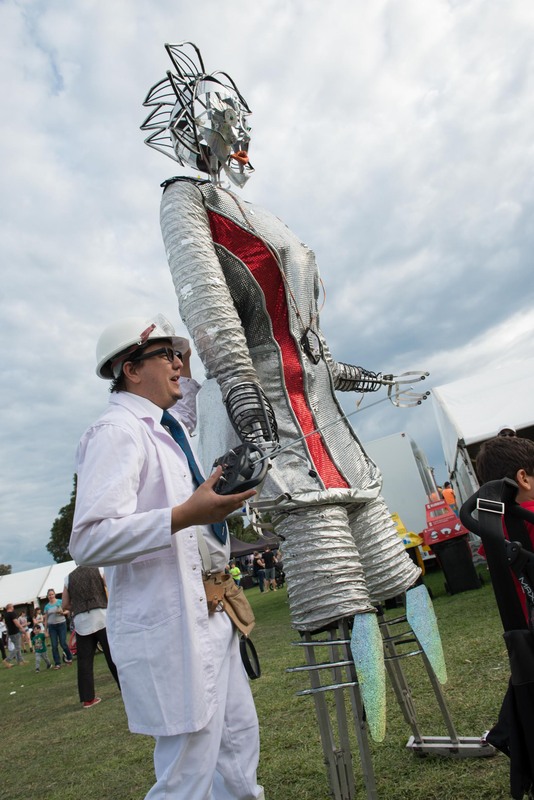 An amazing sight has you captivated; towering over the crowd stands a gleaming, chrome android almost 4 metres in size. 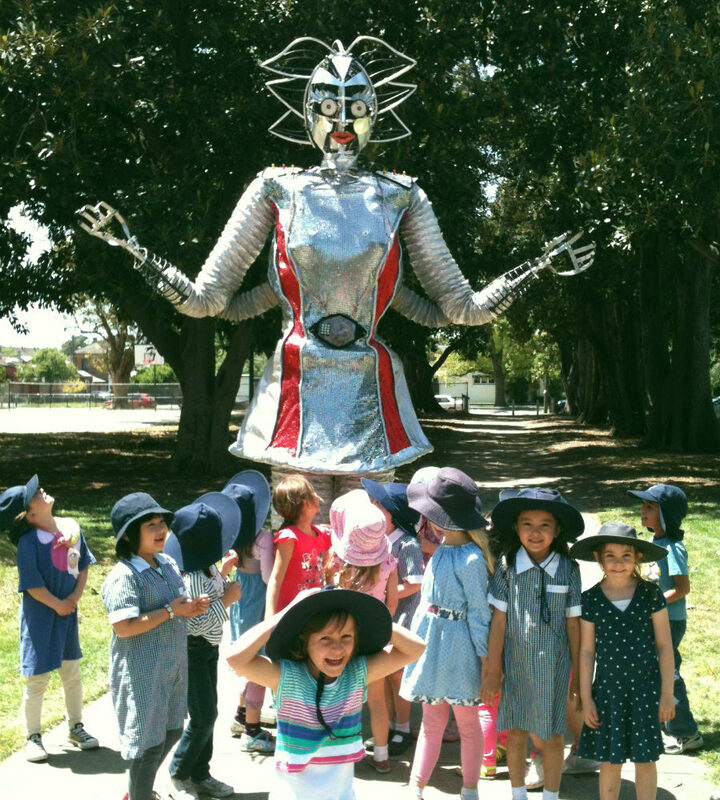 You gravitate towards the spectacle and inadvertently get the giant android’s attention. She walks over to you and grabs at your bag. Her mad capped inventor appears with an over sized remote control, and he cautions Electra Android to behave. He explains that there are a few bugs in the system as he manically works the remote. Suddenly the android starts flailing wildly out of control, and then she loses power – suspended directly over you! Her inventor gets to work on repairs, and as Electra Android becomes fully functional you pose for the best photo of your life! 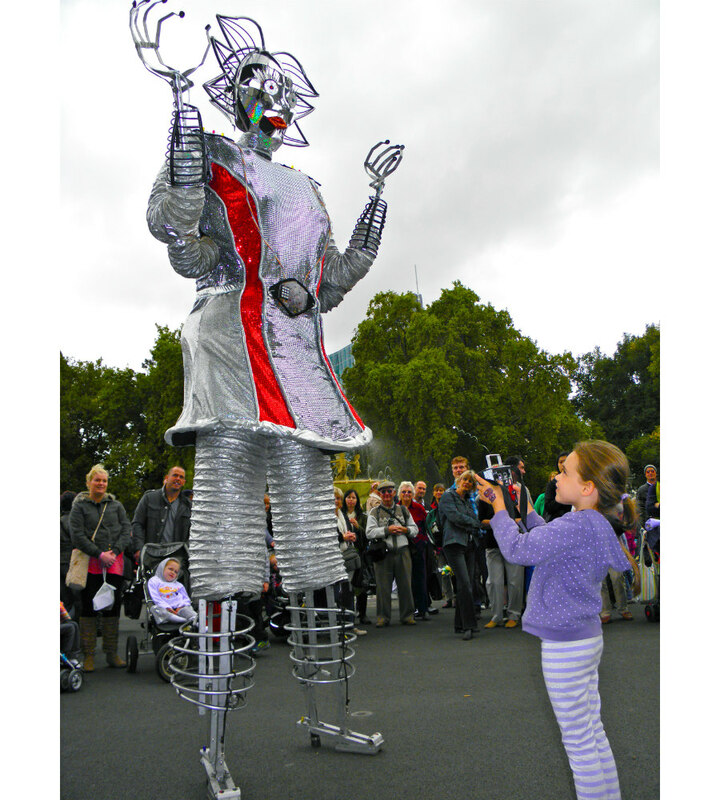 Electra Android is a 3.7m tall stilt walking spectacle that is often mistaken for a real robot. Electra Android is spectacular and comical robot themed event entertainment. 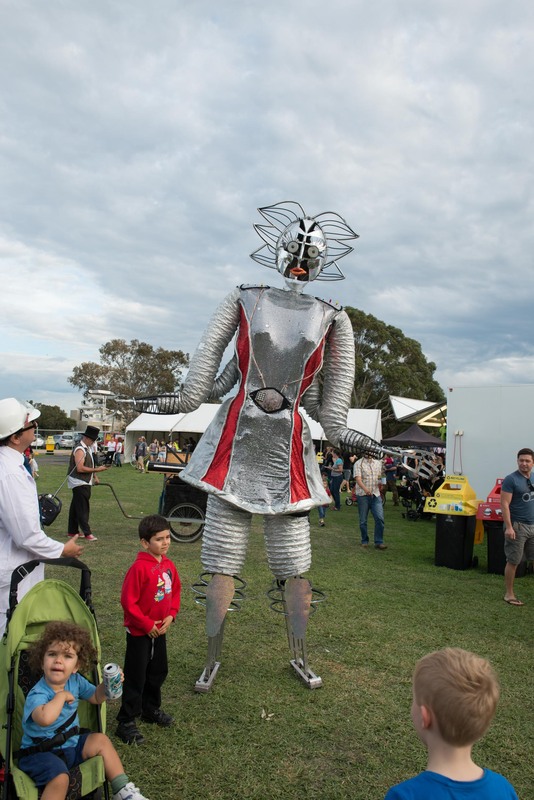 Electra Android is a high impact roving performance that energises events. 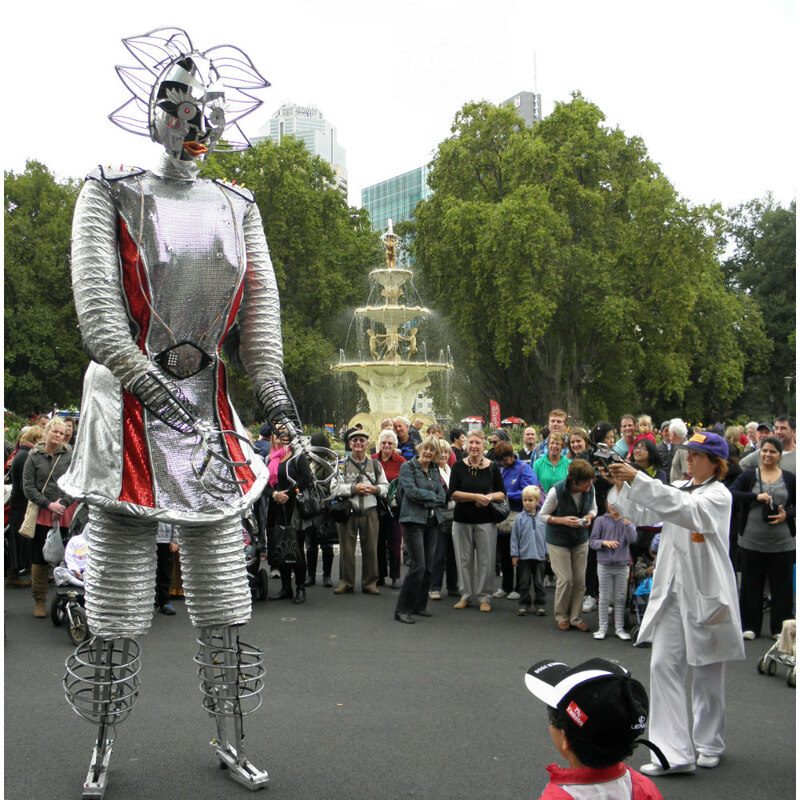 The Electra Android performers are a team of Melbourne stilt walkers and tour nationally and internationally. 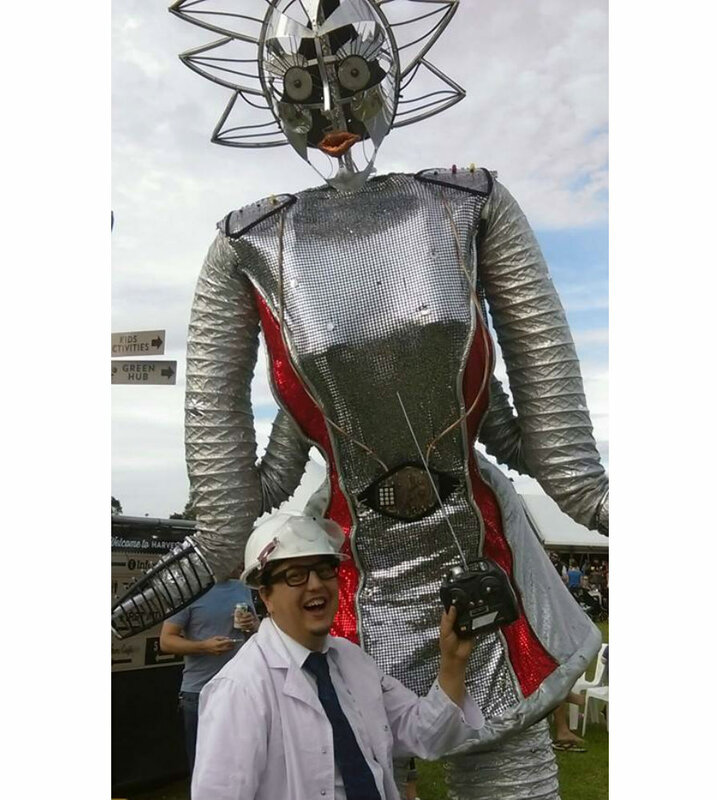 Electra Android has long been a crowd favourite and has appeared at festivals and events all over the world, including the Royal Sydney Show, the Oerol Festival (Holland) and the La Trobe University Open Day (2017), Altona Beach Festival (2017)and Kingston Harvest Festival (Melbourne 2016). The Electra Android act is made up of two event entertainers; one stilt performer as Electra and the Inventor ground character, who provides the verbal interface for the act.